Oh, you may be wondering, what is MIYM?? It stands for “melt-in-your-mouth.” Who doesn’t love another abbreviation?? 😀 These blondies truly MIYM! So luscious, so perfectly sweet & satisfying.. These bangin’ bars have a smooth, rich peanut-butter-brown-sugar dough, studded with lots’a chocolate chips, and drizzled with, of course, more PB! Make enough to serve at a party; bring to a potluck or picnic; share with lots of different people; or to freeze half to have on-hand for later! +PLUS are DAIRY-FREE & easily VEGAN!! Baking is super fun, and for me personally a fantastic stress reliever. But also, we’re all BUSY, #amiright?! Even when you’re busy, these will come together so quickly and taste so FRESH and HOMEMADE – the answer to your dessert-loving-busy-life. Right Hurrrr. I made this batch with brown sugar, and with eggs. If you’re vegan, just make sure to check the sugar you’re using, and sub in 3 flax eggs in place of the 3 chicken eggs. My go-to chocolate chips happen to be vegan! I get them from Wegman’s– their regular, store-brand semi-sweet chocolate chips are conveniently vegan! They are far and wide the most affordable vegan chocolate chips I’ve ever found, and, they taste exactly like their non-vegan cousins. What kind of chocolate chips do you use?? If you don’t need the bars to be vegan, feel free to use whatever your fav chocolate chips are!! 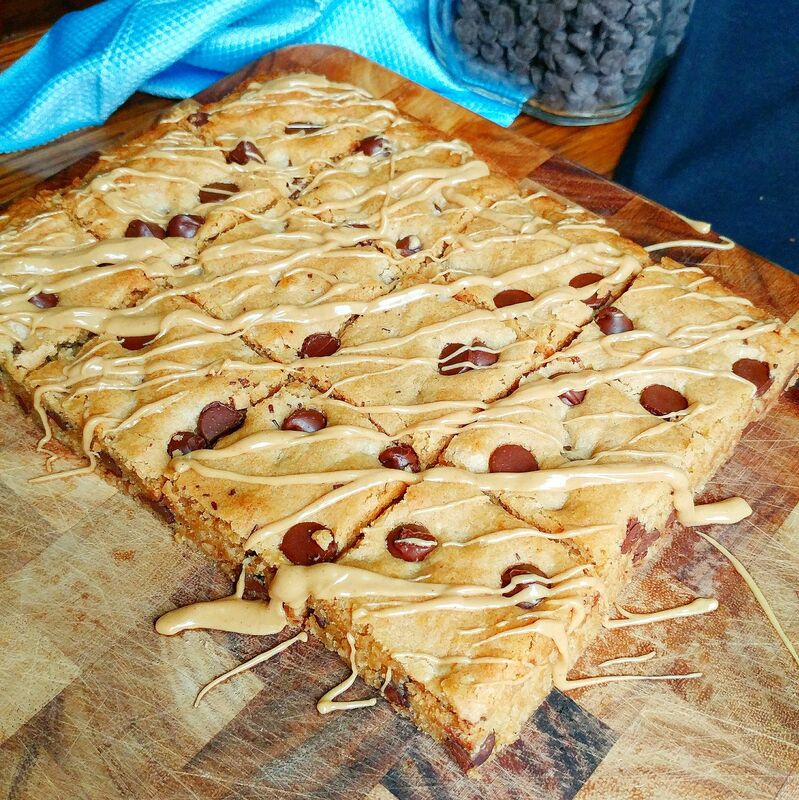 Peanut Butter Chocolate Chip Blondies! Makes a 15×10 inch pan of bars — about 48 bars, depending how large or small you want them. 2) In a large bowl, measure in your olive oil, brown sugar, and peanut butter. Using a whisk and your amazing arm-power, whisk these 3 ingredients together. 5) Add in the all purpose flour, whole wheat flour, oat flour, baking powder, and salt. To do this, try to sprinkle each ingredient over the top off the batter, distributing it, rather than dumping all in one spot. That way, you’re helping to distribute the drys, and preventing any big clumps. 7) Add in the chocolate chips. I like to reserve a small amount of chocolate chips to sprinkle on top, for looks. If you aren’t worried about that, then just dump ’em all in! Fold them into the dough with the rubber spatula. 8) Spread the batter into your prepared jelly roll pan. Use the spatula to spread it evenly. If you reserved chocolate chips, sprinkle those on top. Then, sprinkle on sea salt! I use Maldon Sea Salt Flakes. Any sea salt will do! This will REALLY bring out the flavors of the blondies. 9) Put ’em in the oven and allow them to bake for about 20 minutes, or until a light golden brown color. 12) If you are serving them later, or want to store them for another time, allow them to cool completely. Then, slice into bars and store them in an airtight container. 13) To freeze: Once they’re cooled completely, put them in a freezer-safe container and pop them in the freezer. When you want to eat them, take them out the night before. Or, if you just want one now, stick it in the microwave for 30 seconds, and you’ll have a warm ready-to-eat blondie! 14) My favorite way to eat these is warm with a little bit of dairy-free ice cream. I usually buy Trader Joe’s Soy Creamy vanilla. Its’ delicious. Do y’all have favorite dairy-free ice creams?! I’d love to hear ’em! 15) OH YEAH THE PB DRIZZLE!! Take a little peanut butter, put it into a small bowl. I used about 1/4 cup, though admittedly, I didn’t measure. However much additional PB that you want!! Microwave it for 30 seconds. Stir. Then drizzle with a knife or spatula back and forth across the bars. Ok, you’ve now achieved chocolate-peanut-butter (dairy-free) bliss. ENJOY!!!  Want to make more peanut butter chocolate recipes?! OK, me too!!! Here are a few of my favs..